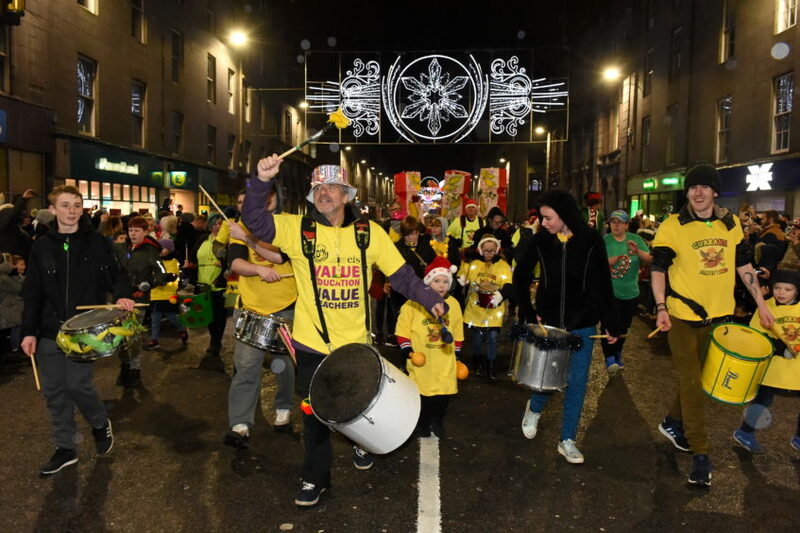 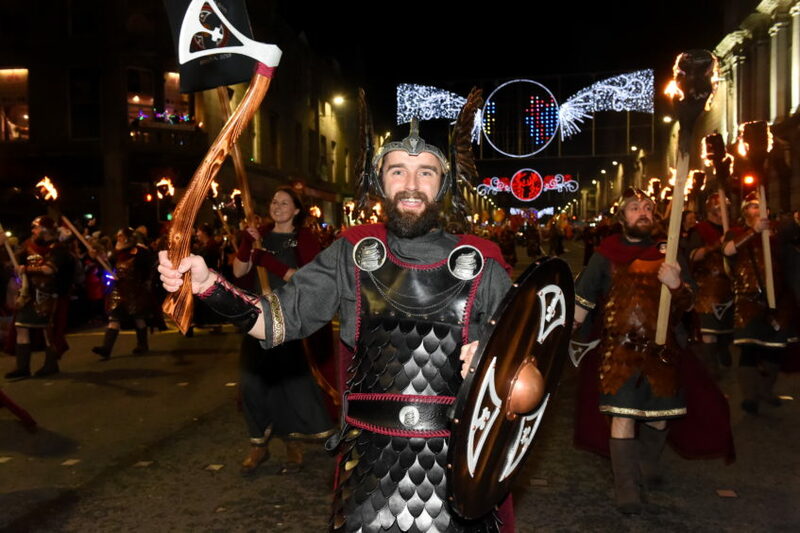 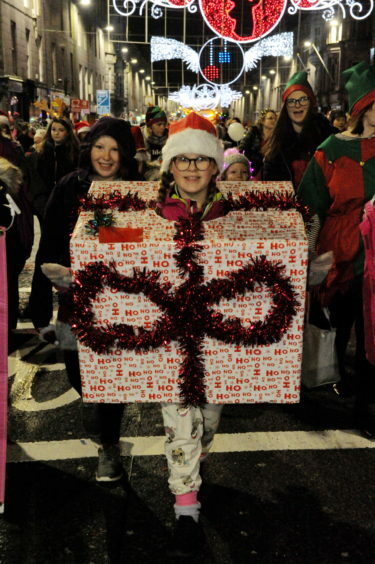 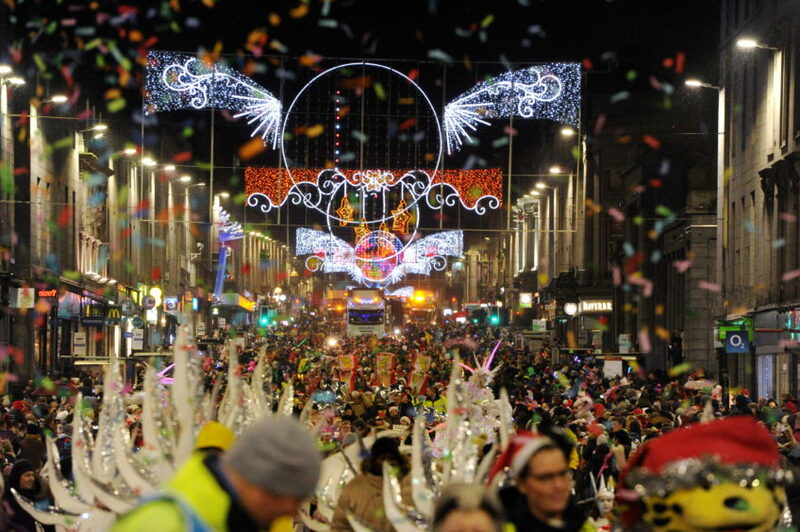 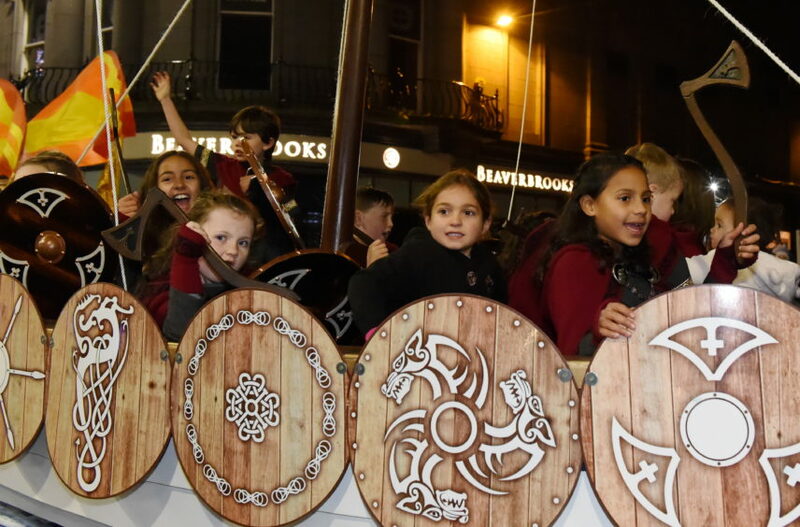 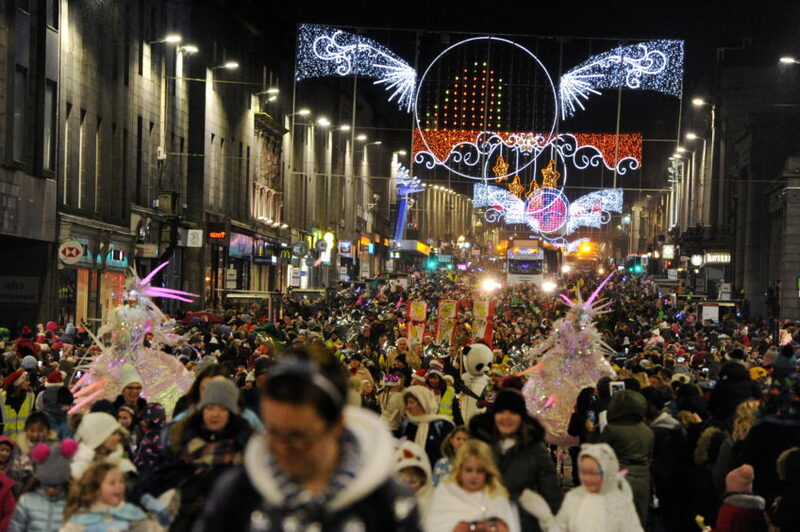 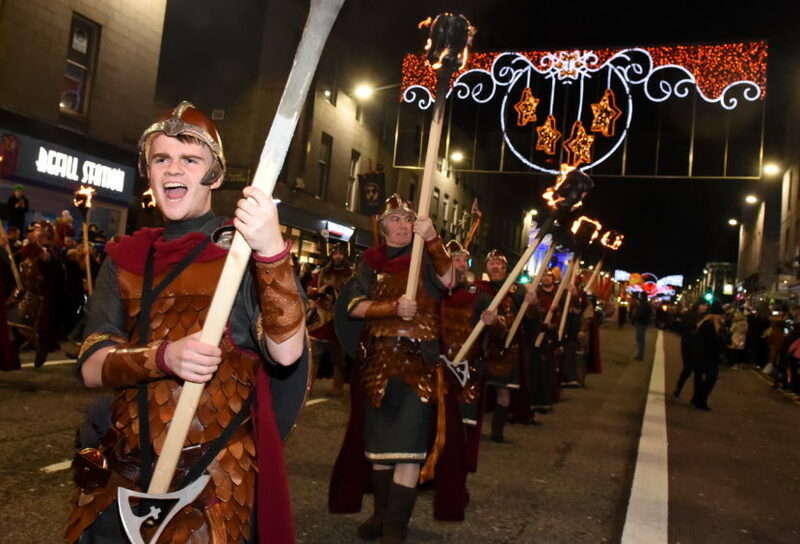 A horde of vikings invaded Aberdeen last night on a mission to spread festive cheer by helping to switch on the city’s Christmas lights. 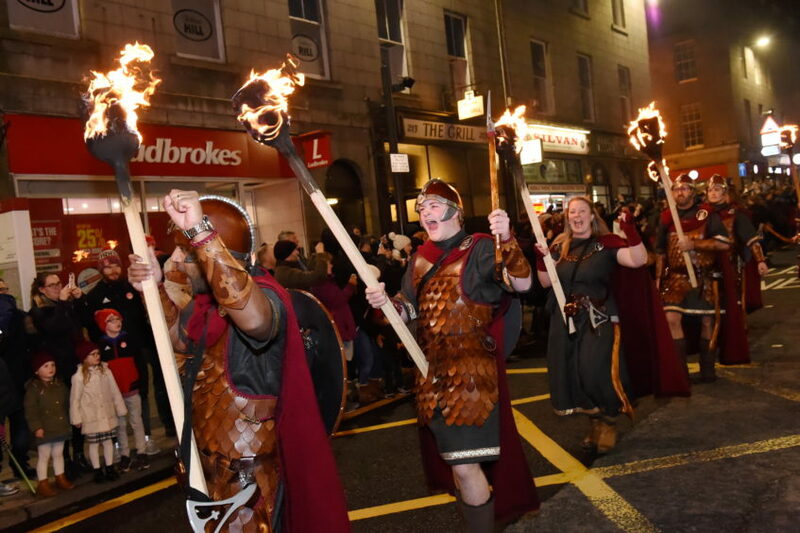 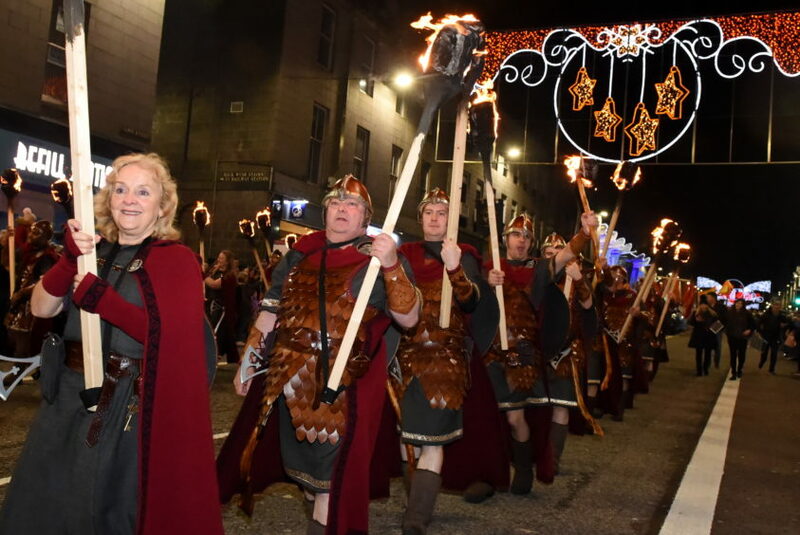 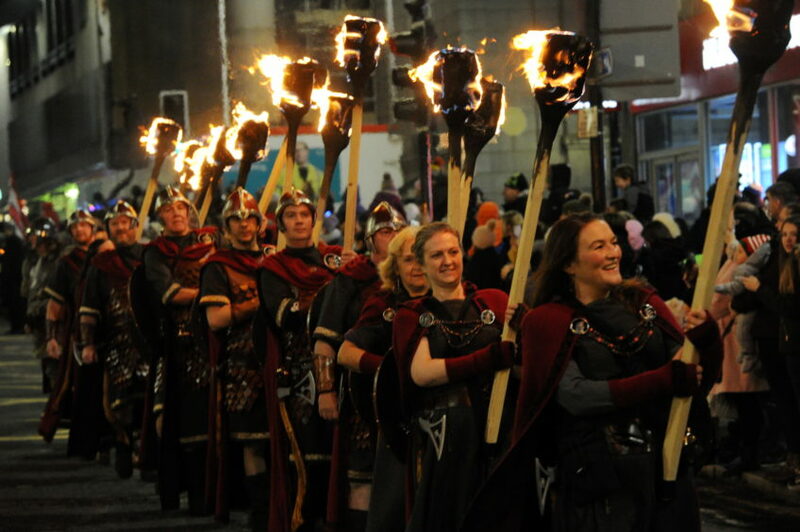 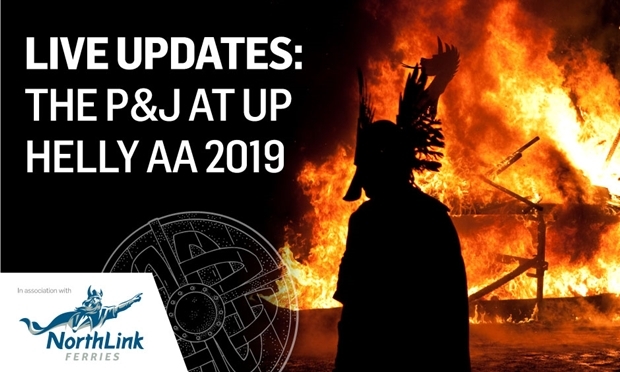 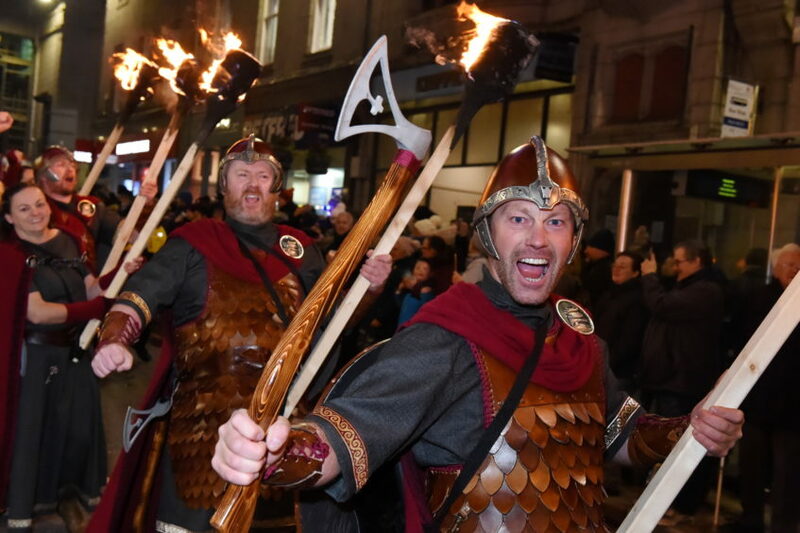 The Up Helly Aa crew from Sandwick, in Shetland, marched down Union Street brandishing flaming torches and waving axes as part of an annual parade which attracted thousands of people to the centre. 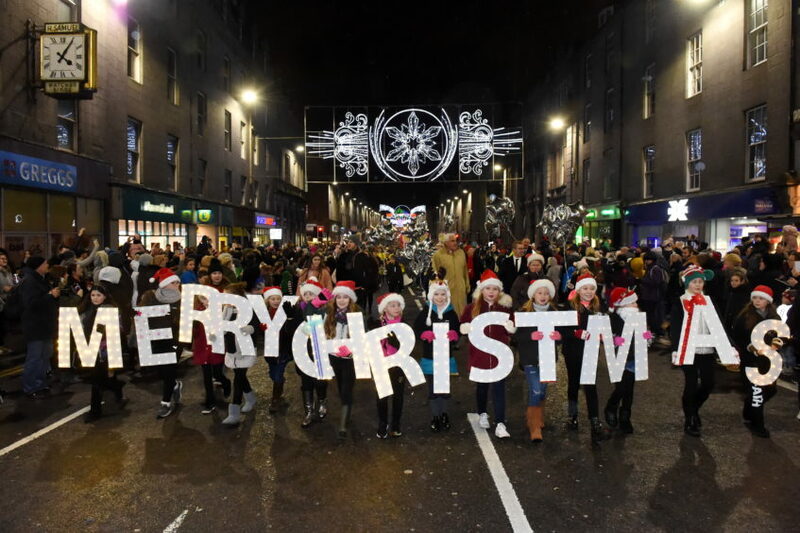 Festive illuminations stretching across the thoroughfare twinkled into life as the colourful procession passed beneath them, and the fairy lights on the Christmas tree at the Castlegate were switched on to cap off the event. 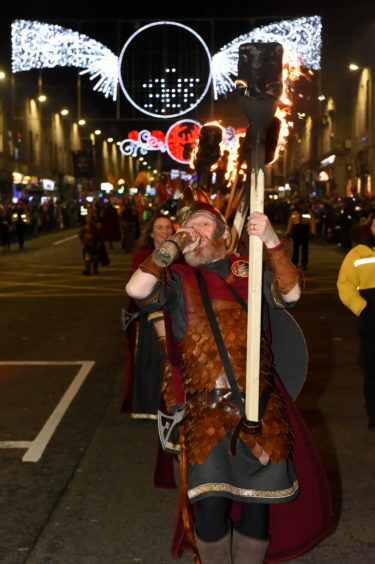 Guizer Jarl, Ian Bray, led the viking contingent and praised the “incredible atmosphere” as crowds welcomed his crew with loud cheers. 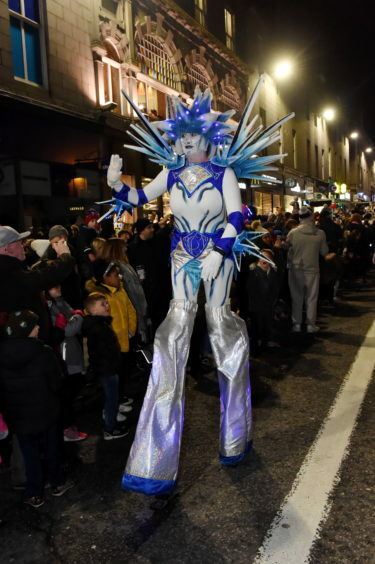 Mr Bray said: “As we turned the corner onto Union Street, we were taken aback by the sight of such masses of people, it was amazing. 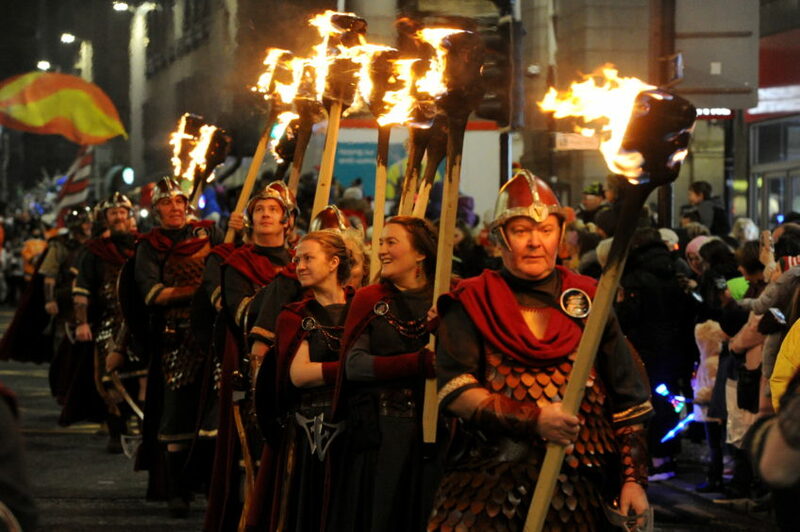 “We spent 18 months making our suits from scratch, and this was our first trip to the mainland for something like this. 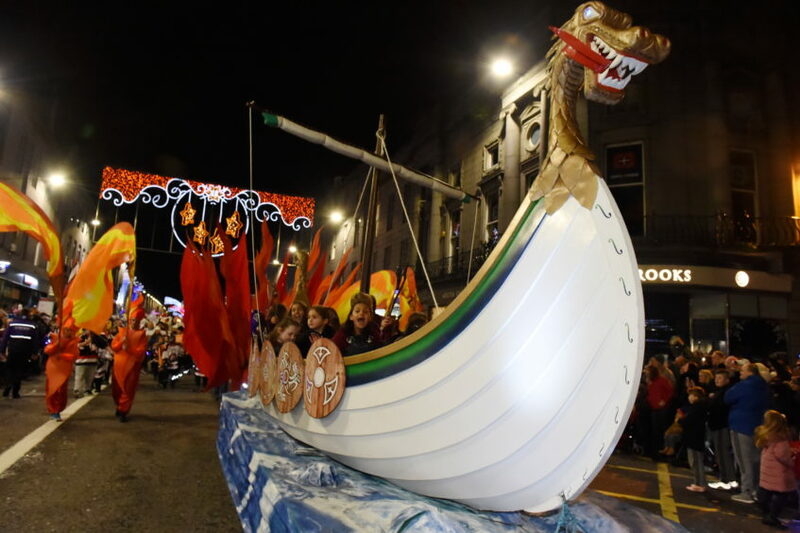 The Jarl Squad even brought their own boat across on the ferry, with a fearsome dragon design which had glowing blue eyes. 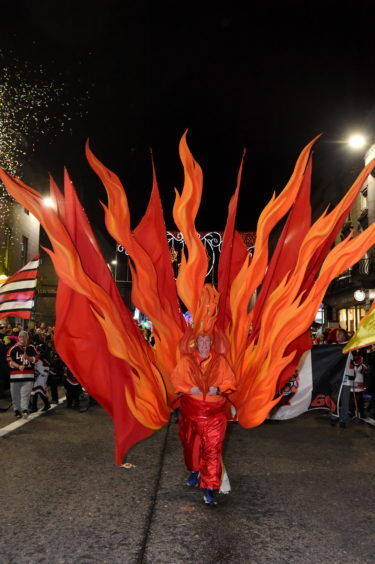 The parade carried a theme of “fire and ice”. 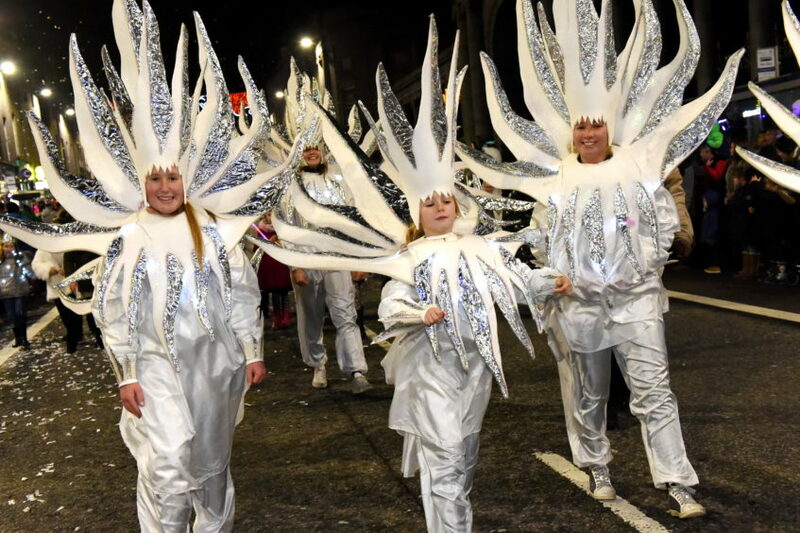 While the vikings provided plenty of the former, an ice motif was represented by spectacularly costumed performers who donned glittery outfits intended to resemble snowflakes. 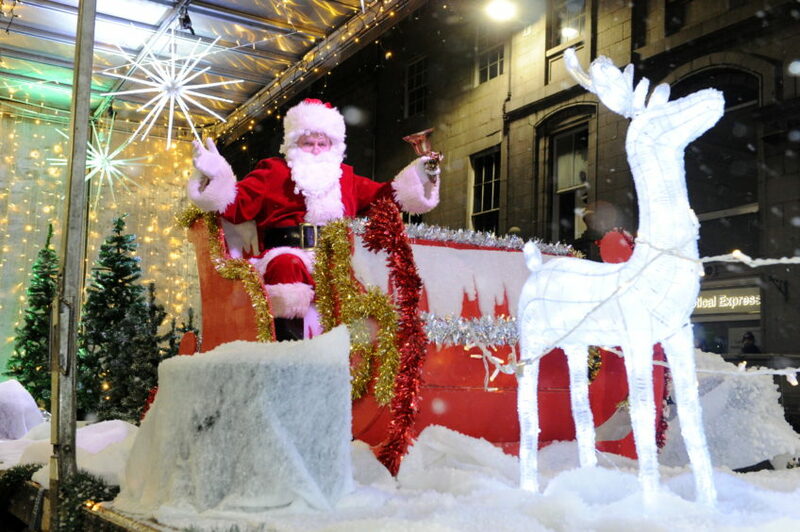 Dozens of people dressed as Santa to take part in a fun run down Union Street for the Charlie House disability charity to begin the event. 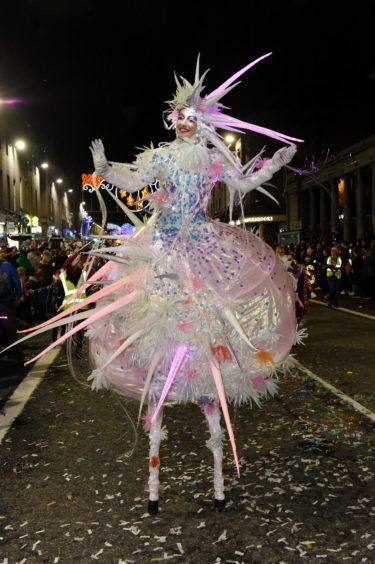 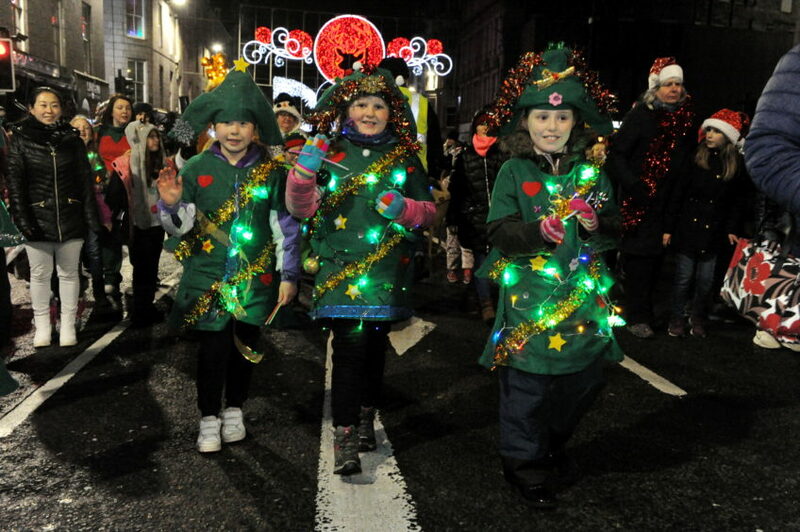 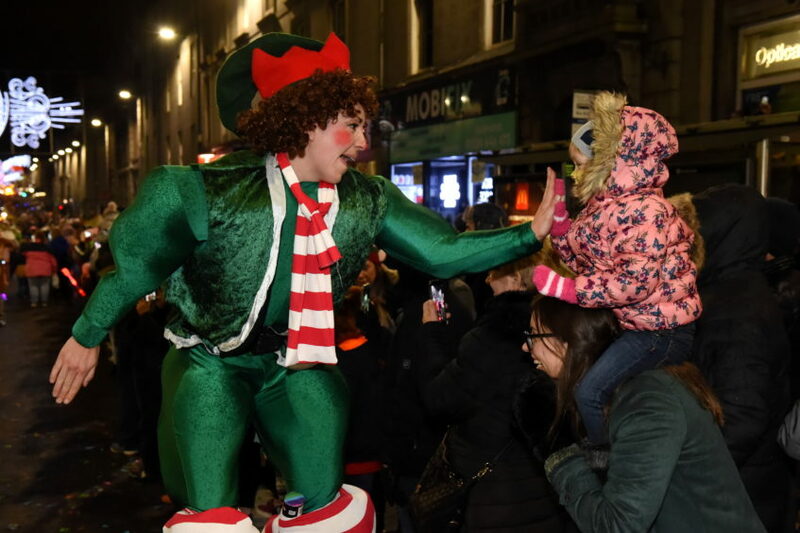 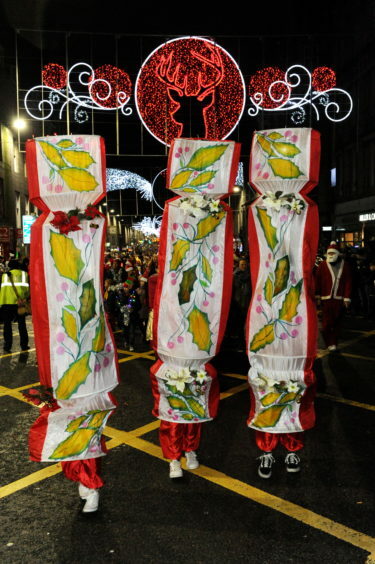 Bagpipers, people dressed as reindeer, the Aberdeen Lynx ice hockey team, stilt walkers, hundreds of children and all manner of colourful characters followed. 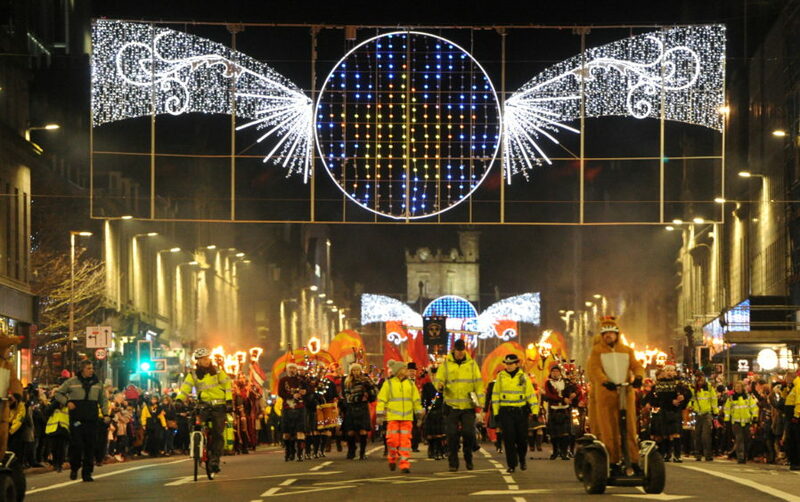 Lorries blasting Christmas music formed the tail end of the procession. 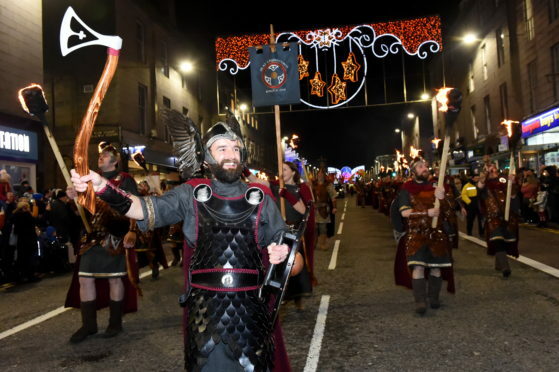 The procession was led by the Lord Provost of Aberdeen, Barney Crockett, who described the event as a “magnificent” showcase for the city. 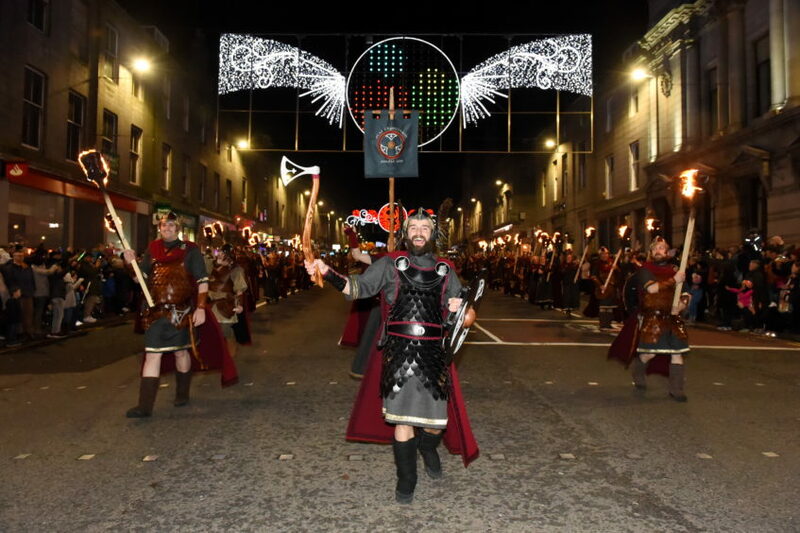 He said: “This just shows the fantastic community spirit we have here, and I have to praise the great attitude of our guests from Shetland. 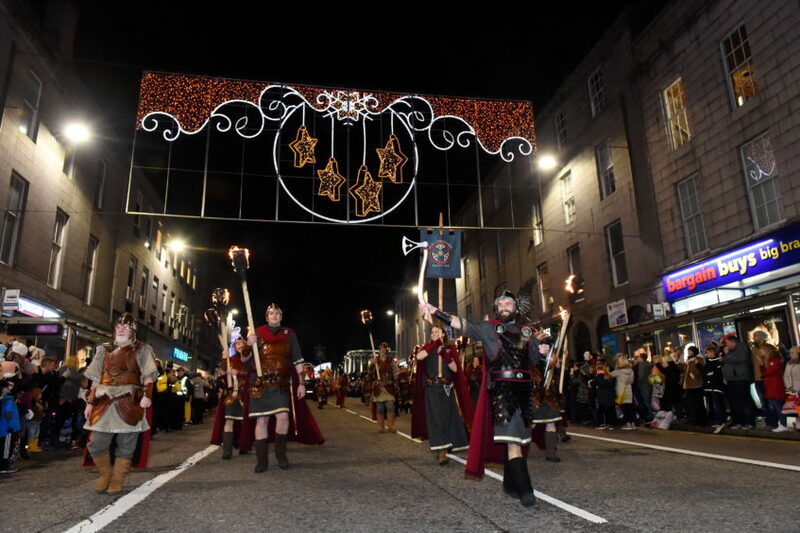 The Christmas lights were also switched on in Inverurie last night, with live music and a fireworks display adding to the excitement.